Make $350 to $500 for only one day’s work per week looking after claw machines in Hatfield! 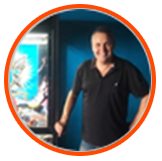 If you are looking for an opportunity to launch a small business around Griffith, this claw machine franchise business in Hatfield should be your best bet! This toy arcade machine business is the perfect lifestyle business for busy entrepreneurs, giving them the opportunity to work flexible hours. The Koalakrane machines are engineered to deliver user-friendly features, requiring only simple cleaning and servicing once per week. Koalakrane franchisees are provided with consistent support in all areas of the business, which includes franchisee workshops, trainings, and an online forum. Koalakrane franchisees follow an established business system that has been proven in over 150 franchises throughout the company’s 17 years of industry experience. Own and operate game vending machines exclusively in Hatfield. This means that you will be the sole Koalakrane franchisee operating in the area. 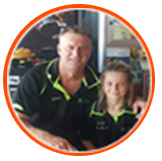 Conveniently order licensed claw skilltester prizes from Disney, DreamWorks, AFL, NRL, and more through an exclusive franchisee website. Grab this business opportunity in Hatfield area or someone else will!